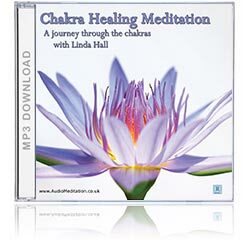 A powerful chakra meditation CD taking you on a journey through the 7 chakras. Chakra Healing Meditation uses the breath, colour healing, and positive thinking affirmations to awaken and rebalance each of your 7 chakras. Chakra balancing is recognised by modern psychology as a powerful means of self healing and gaining self knowledge. Recommended for those interested in spiritual awakening. Meditating with the 7 chakras offers a perfect fusion of Eastern philosophy and Western psychology. Originally discovered by ancient yogis as physical centres for focus during yogic practice, the Hindu chakra system has evolved over thousands of years as a study of personal development and means for spiritual awakening respected by contemporary Western psychology. Various meditation techniques are employed in chakra balancing to support their vitality. Chakra, the Sanskrit word for wheel, describes the spinning, vortex like quality of these energy centres. Chakras are like processing stations for ‘subtle energy’ that flows through and around the body; they act as windows on our inner life, linking our physical, emotional, mental and spiritual aspects. The effective running of chakras is closely connected to good all round health. Stress, trauma or illness depletes their vitality. Chakra meditation is a way to restore their balance. Although chakras are situated all over the body, the ‘Major’ 7 chakras aligned down the spine are those most commonly used in meditation. Chakra Healing Meditation uses the gentle power of the breath, colours associated with the chakras, and positive affirmations to stimulate the 7 chakras to replenish themselves. 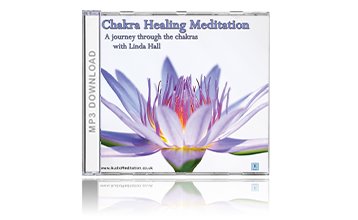 Set to beautiful music the overall tone of this guided meditation CD is uplifting and moving.